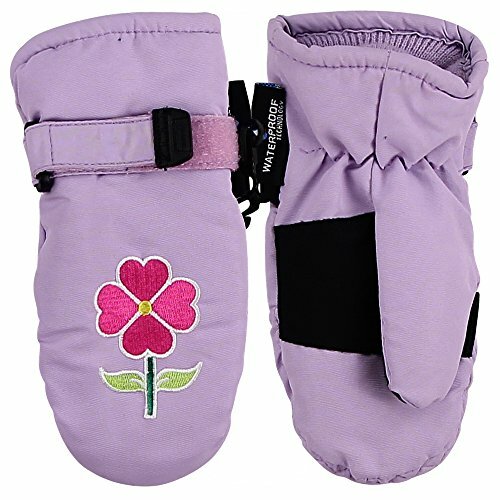 Toddler girl’s embroidered mittens. Available in 4 colors to match the little ones outfit. Velcro tab for easy on and off. Thinsulate lined and waterproof to ensure her hands stay warm while playing outdoors in the snow or cold winter days.